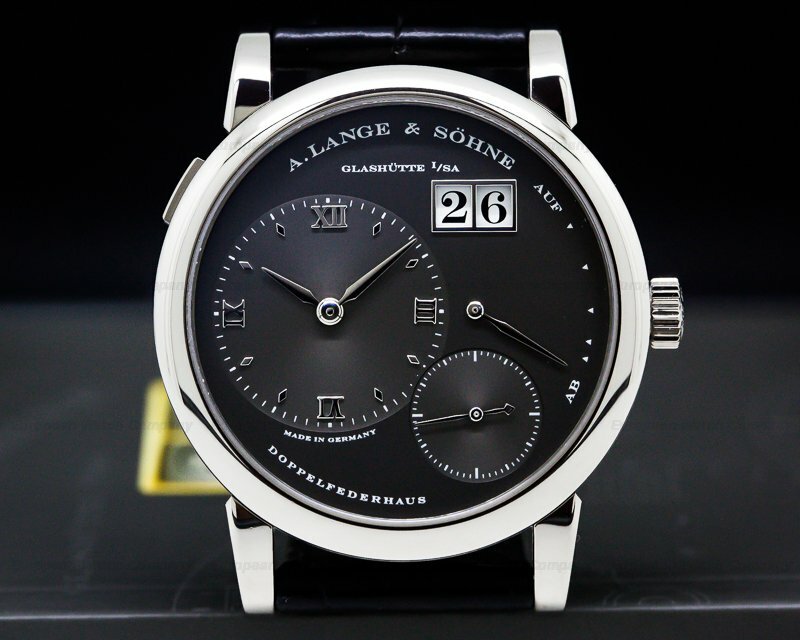 This is an 18K white gold A Lange & Sohne 1815 WALTER LANGE Up & Down, 223.026. 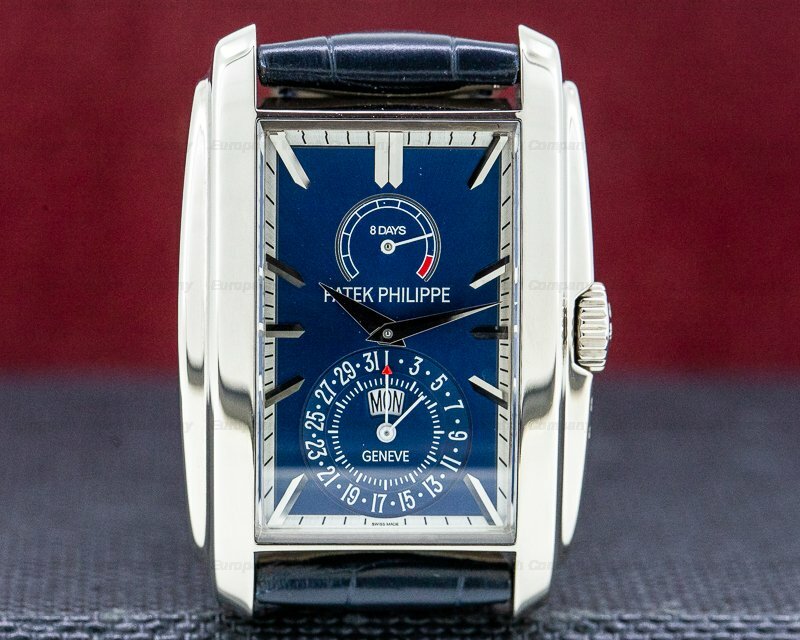 It has a leather strap and a matching 18K white gold tang buckle. 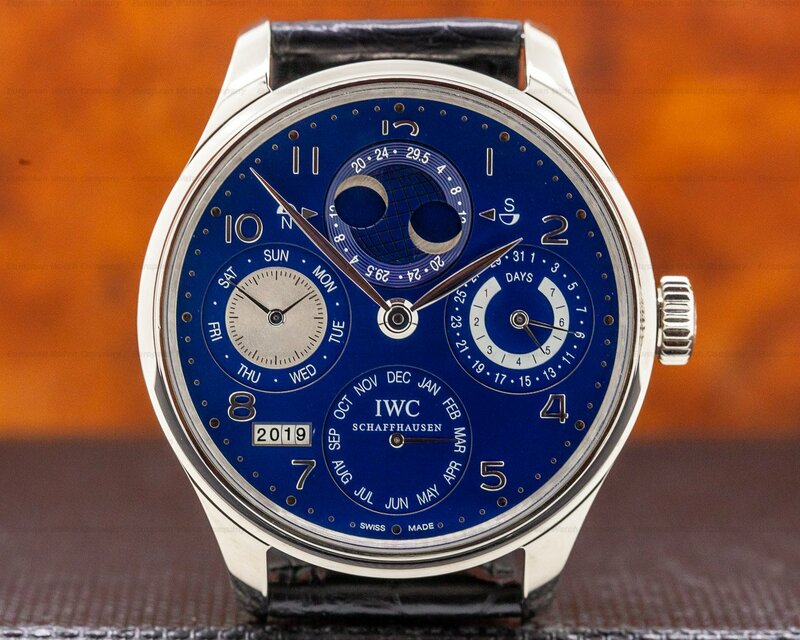 The solid, 37.5mm diameter three-body case is polished and brushed, with a rounded bezel and downturned lugs, and matching gold-rimmed sub dials. 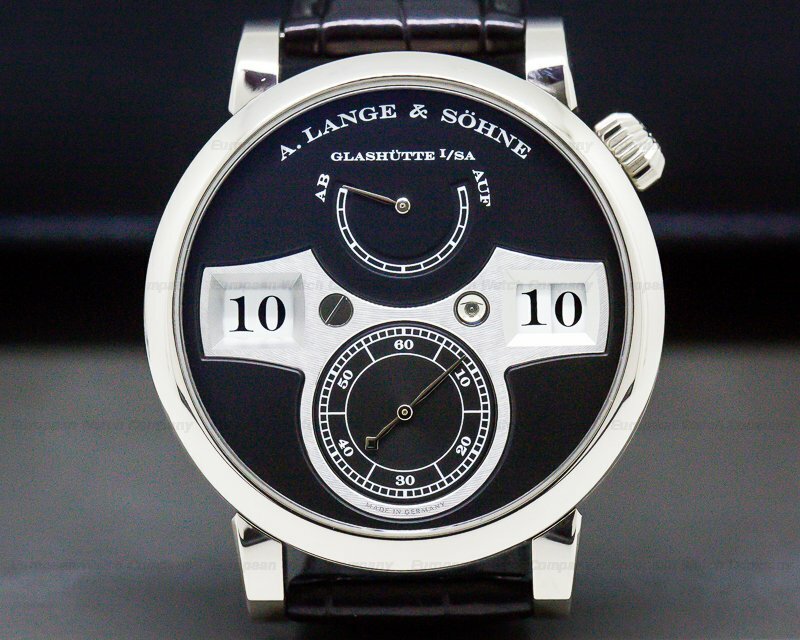 A hinged case back reveals a scratch resistant, transparent sapphire crystal display back with Walter Lange's distinctive signature engraved on the inside of the cover. 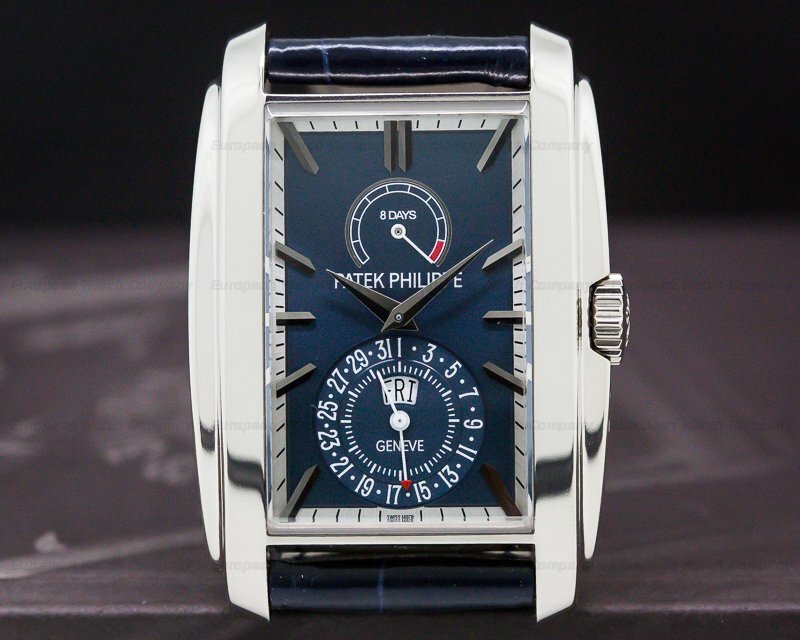 There is a sapphire crystal; the dial is white with painted black Arabic numeral hour markers, and it has blued alpha hands, with an outer minute railway track. 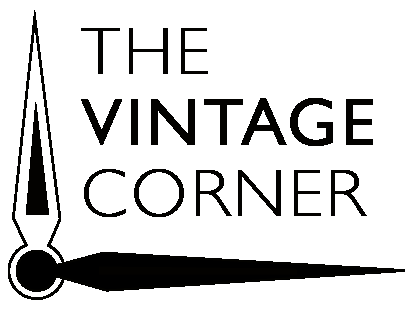 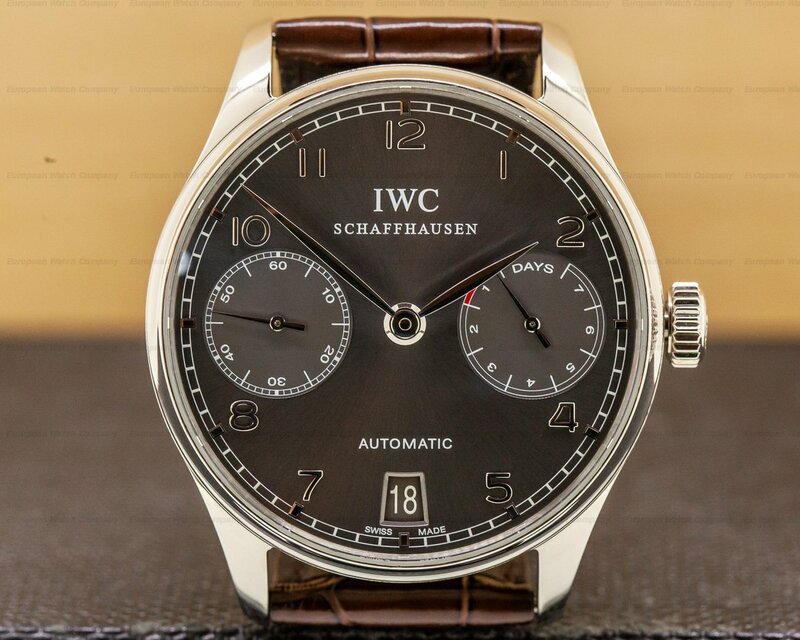 There is an inset subsidiary seconds dial at the 4 o'clock position, and a twin "Up and down" register for the 45-hour power reserve at 8 o'clock. 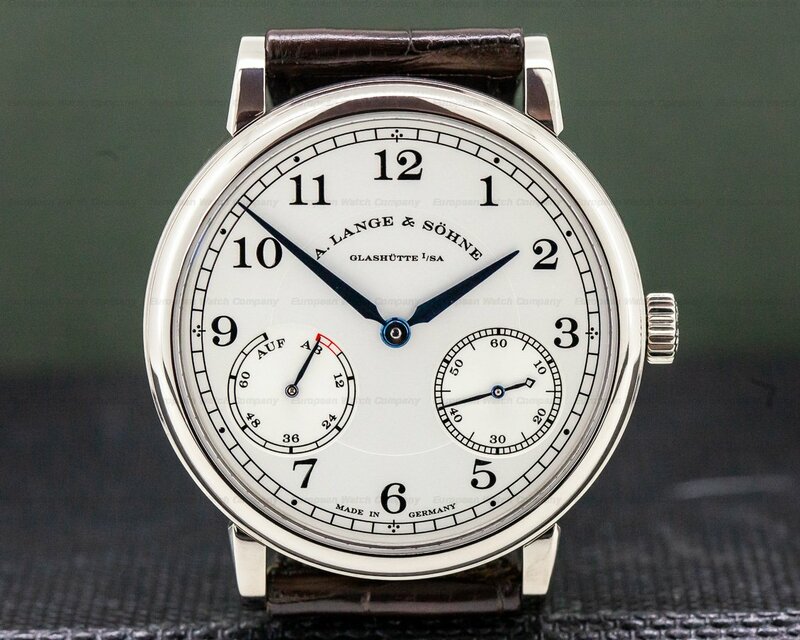 The 9.5mm thick case, dial, and movement are signed. 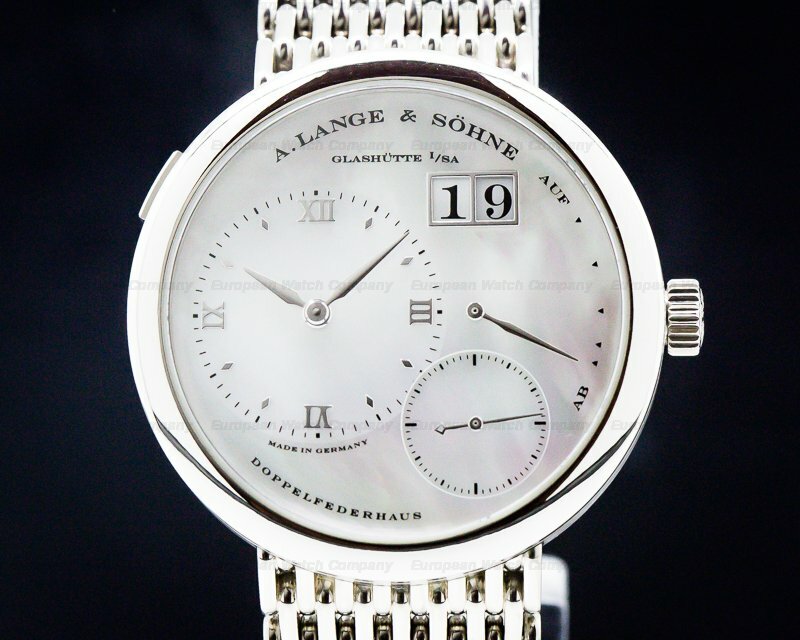 This watch is an 1815 - a collection named in homage to Ferdinand Adolph Lange's year of birth. 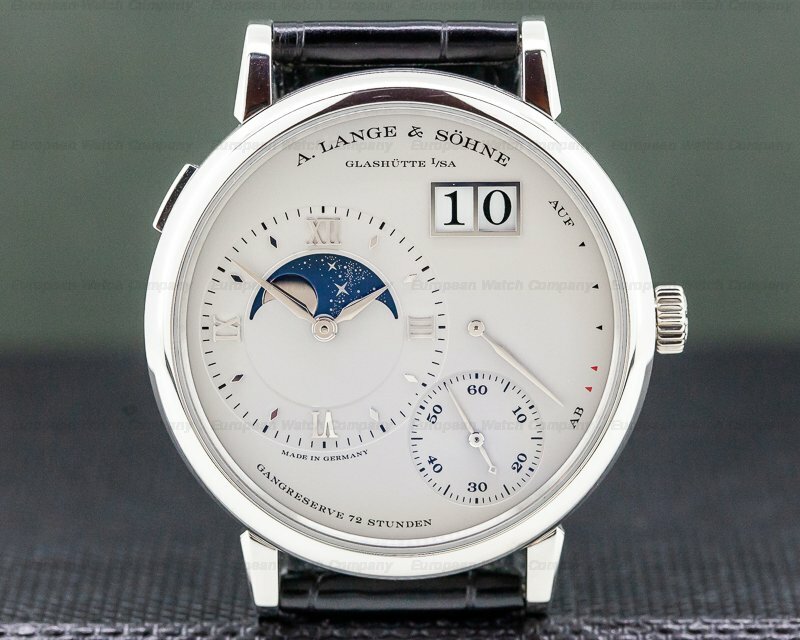 It is in a Limited Edition of 50 examples, and is the only A. Lange & Sohne timepiece signed by Walter Lange, the fourth generation great-grandson who essentially reinvigorated the business after World War II, and again in 1990. 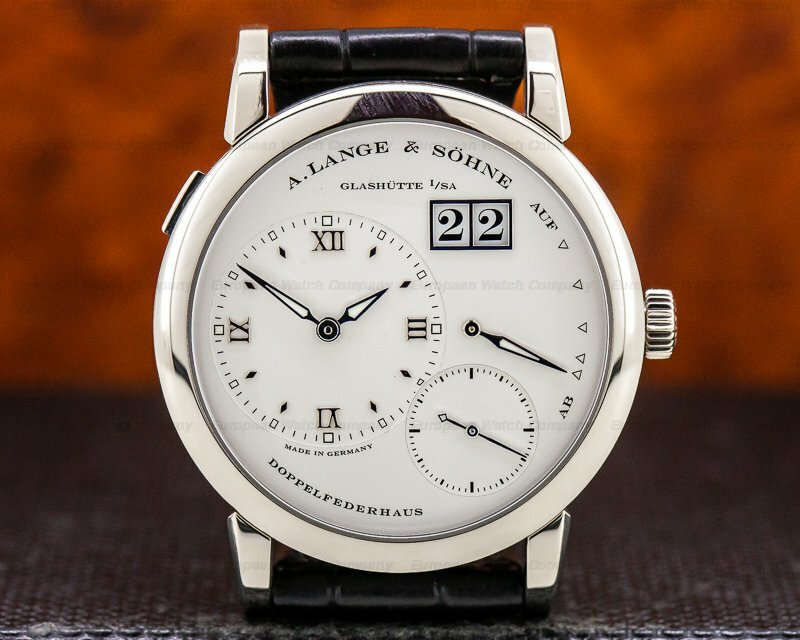 It's dedicated to his great-grandfather, founder, Ferdinand Adolph Lange.